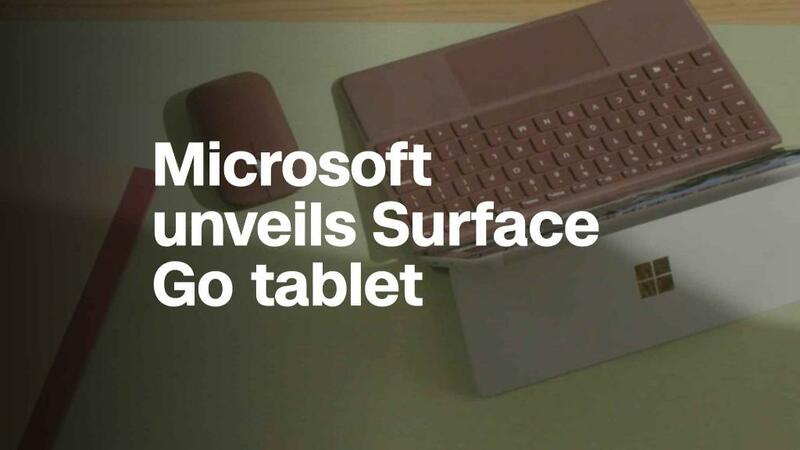 Microsoft is taking a stab at the cheap tablet market with the Surface Go, a 10-inch iPad competitor. The Go offers the look and feel of Microsoft's larger Surface tablets in a 10-inch package that weighs just over a pound and costs $399. That's half the cost of the cheapest Surface Pro tablet and comparable to Samsung's 9.7-inch Galaxy Tab S2, but still $70 more than the 9.7-inch iPad. Although aimed at all users, the Go could help Microsoft (MSFT) maintain momentum in its battle against Apple (AAPL) and Google (GOOG) for a greater share of the student market. Google's Chromebook laptops dominate that market, supplying almost 60% of all devices in the classroom, according to a 2017 report from research firm Futuresource. Apple devices account for about 17%. 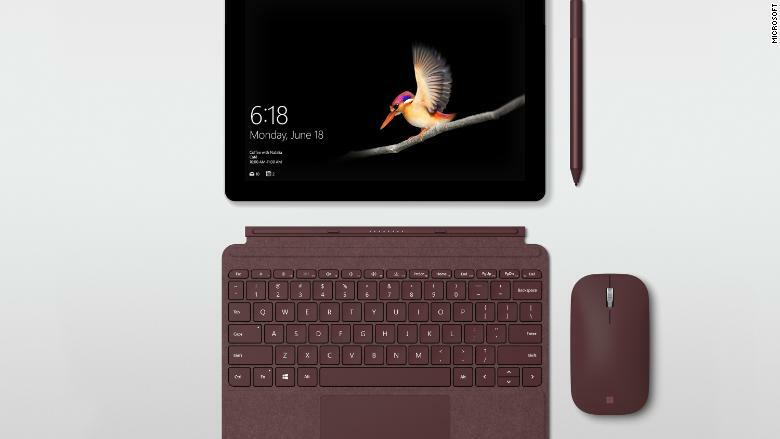 The Surface Go is about the size of a composition notebook and runs Windows 10 S software. Like every other tablet out of Redmond, it has a detachable keyboard and supports the Surface Pen. It also offers a few features aimed at students: Portrait mode renders pages much like a textbook and landscape mode renders them side-by-side like an open book. That said, J.P. Gownder, vice president at research firm Forrester, sees the Go's small size and Window's operating system as appealing to businesses. "It equips mobile workers with a very light weight device that's extremely manageable and secure, and runs business applications in Windows," he said. "It should compete extremely well with the iPad. It's also got the design flair and usability workers want, but it has the applications that employees really need." Gownder find the Go's appeal to mainstream consumers "a bit murkier" because people "love" their iOS and Android smartphones. That makes them inclined to stick with tablets that run the same software they're already familiar with. Getting them to switch can be a tough sell, especially if they aren't saving a ton of money. "It remains to be seen exactly how the consumer market for this device will evolve, but the enterprise market should show strong demand," Gownder said.